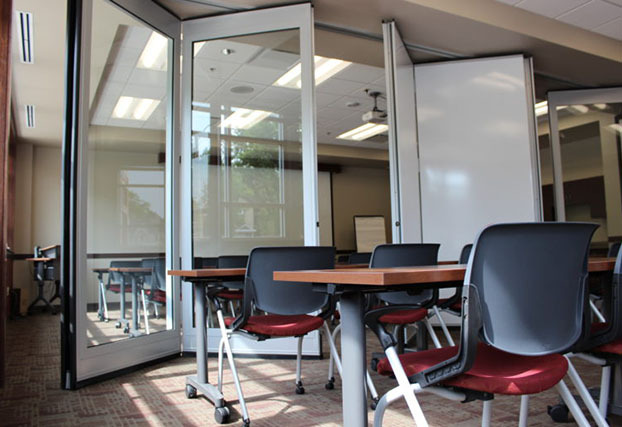 Hufcor's complete line of operable walls (also known as "airwalls"), accordion doors, glasswalls and room dividers can meet the requirements of any facility that needs acoustical separation and flexible space division. 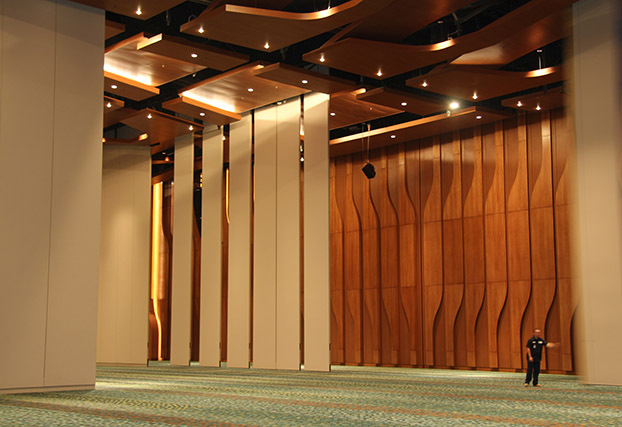 Partitions may be ordered in sizes ranging from the short (over a counter-top) to the very tall (convention center heights exceeding 60'). 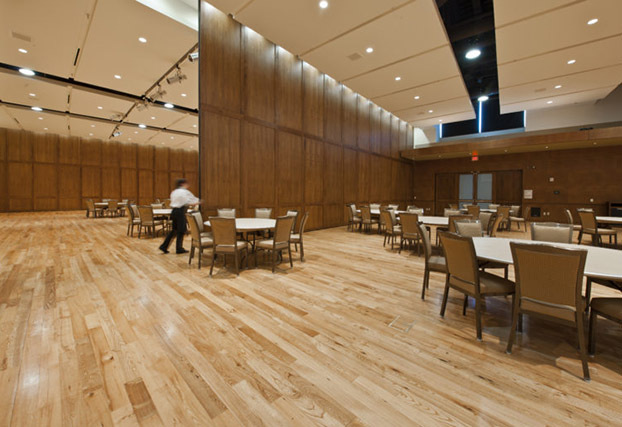 Our products are used in some of the world's finest hotel meeting rooms and ballrooms, educational and health care institutions, religious buildings, convention centers, recreational and commercial facilities. 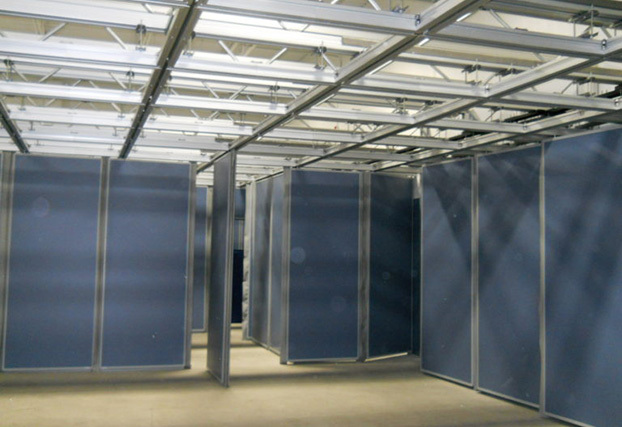 Hufcor partitions have gained an international reputation for expertly engineered design and top quality workmanship. 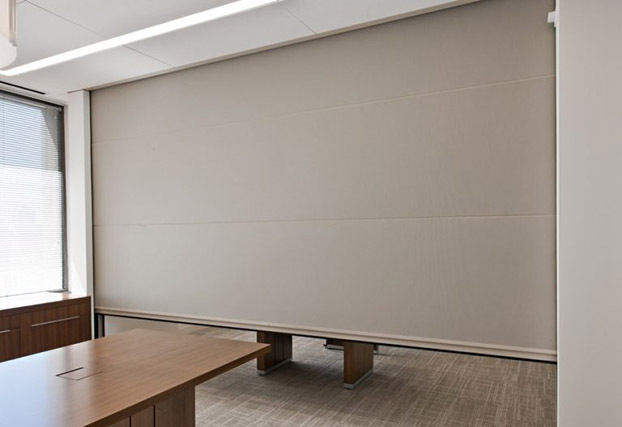 Our partitions are known for their quality construction, durability, beauty, versatility, easy movement, and quiet operation. 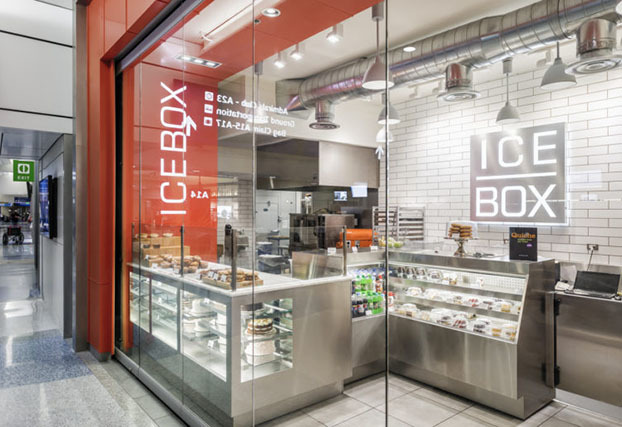 We proudly sell, install, and service our products through authorized distributors and international licensees located throughout the world. 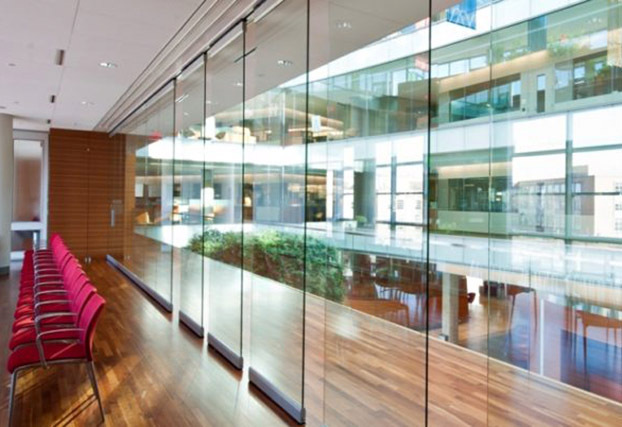 InVista is an attractive low profile framed operable glasswall for interior applications featuring no floor tracks, clean lines, best-in-class acoustics and excellent clearview. 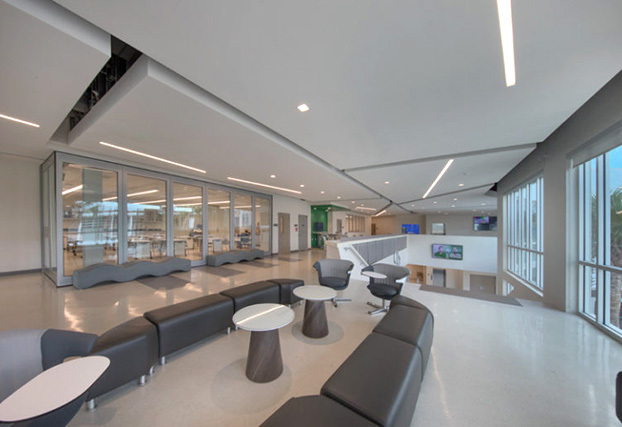 Unispan® is a pre-engineered independent support system which eliminates the need for structural steel beams and is compatible with Hufcor operable walls for quick and easy room division. 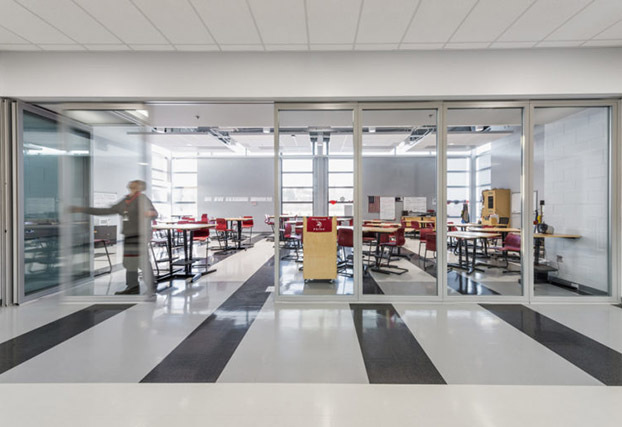 Hufcor's Series 600™ Operable Partitions are designed and built with raw materials that are environmentally friendly and contribute to helping green build projects achieve LEED Certification. 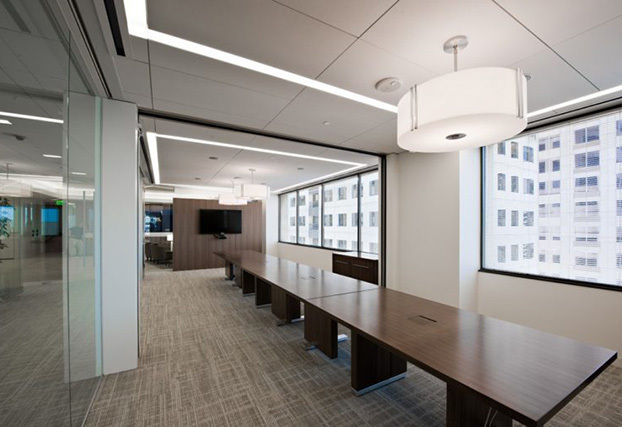 When designed, installed and used correctly in building construction, Hufcor Series 600™ Operable Partitions contribute to several LEED v4 credit categories. 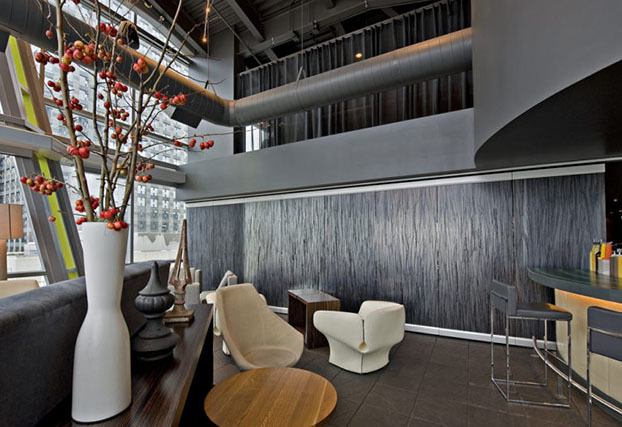 In addition, Hufcor and its suppliers are committed to maximizing recycled materials and reducing material scrap.